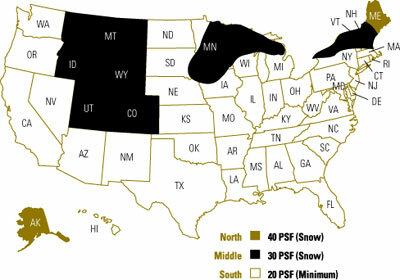 Mobile home manufacturers often have differing standards for their homes, usually based on their local audience. 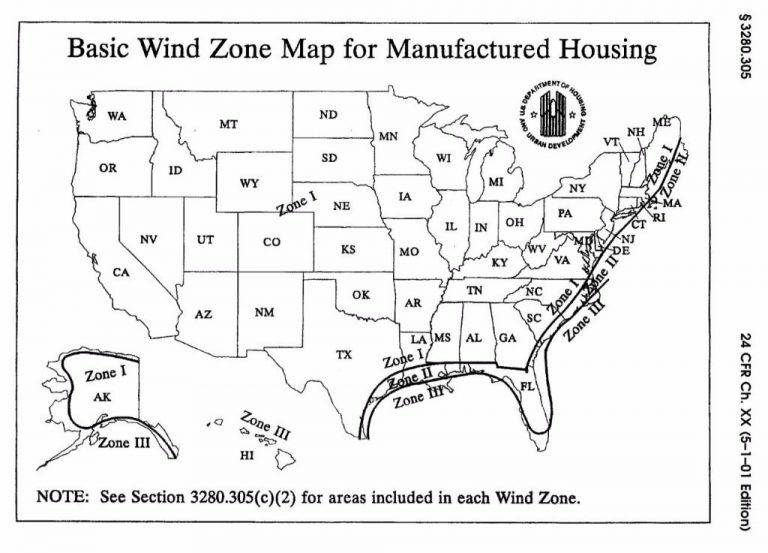 For example, the majoriy of manufacturers will not build homes to withstand a Zone 3 Wind Zone Rating, but there are several manufactures in Florida that will. 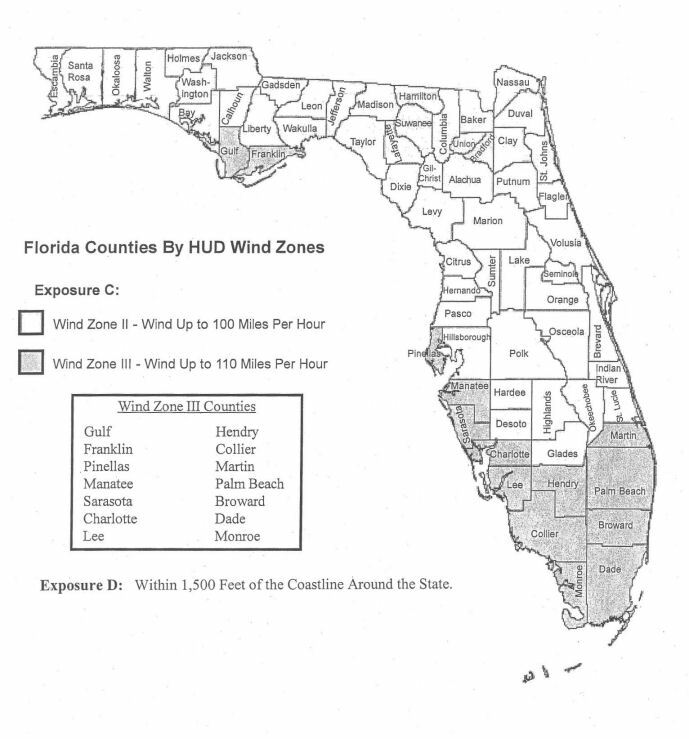 Because of this, it is important that you use these maps to make sure your home complies with local wind, heat, and snow load zones. Failure to account for these standards could delay the installation and approval of your new home.